Lake Arrowhead Waterfront Home! 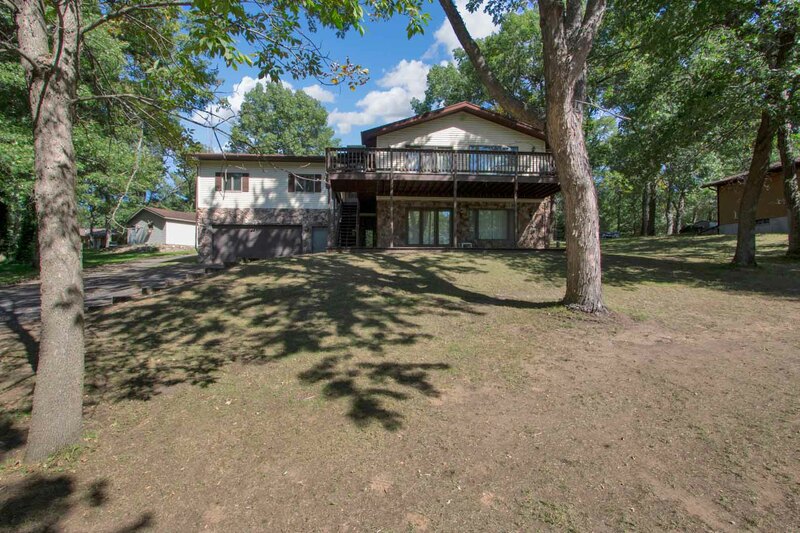 Pristine view, serene location on a private cul-de-sac, beautiful mature hardwoods for shade and privacy, and two finished levels of life-altering lakefront living. And the garage! Who do you know that has a double-decker attached garage? 2+2=4 car (6-car if they're made in Korea)! Other features include spacious living areas that take full advantage of the lake view with large lake-facing windows and patio doors on both levels; exceptional dining space for all those friends who show up when you have a lake home; bright, convenient kitchen with generous cabinetry, counterspace, and pantry; finished walk-out lower-level with family room (wet bar), bonus room and full bath; warm interior colors; upper & lower level decks; vinyl/stone exterior; excellent backyard for the kiddies to play on; 100' of easy access, low to the water frontage; asphalt drive to both garages; pier, lift, jetski dock, 2 kayaks included. All this and more on one of the largest properties on Lake Arrowhead. Live the Lake Arrowhead Championship Lifestyle ... Great Lake, Great Golf, and the always Great Outdoors! Garage: 2-Car Attached, w/ 2-Car Under=4-Car!